New Side, Liftgate & Tailgate Seal for 69-77 Ford Broncos. 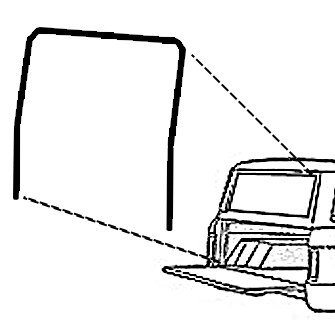 This seal starts at the bottom left side of the tailgate, mounts up the side and over the top of the liftgate and down the opposite side, ending at the bottom right side of the tailgate. For 66-68 Ford Broncos you will need #1734 Upper & Side Seal & #1728 Side Tailgate Seals.